If you can’t find the time or the money to jaunt off to Cuba for a long weekend, you are in luck. 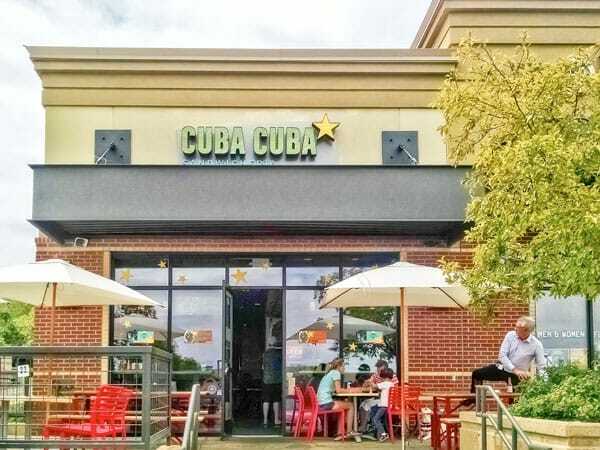 Right here in Colorado, there are several locations that can lend you a little taste of Cuba. Per a friendly recommendation, Cuba Cuba Sandwicheria made it on our list of places to sample a bite of ethnic flavor. The Cuba Cuba Sandwicheria is one of three more casual spinoffs of the original Cuba Cuba Café & Bar in Denver. The idea was born when David Karam (former CEO of Wendy’s International, now Sbarro CEO) made owner, Kristy Socarras the proposition to help her expand in Colorado. 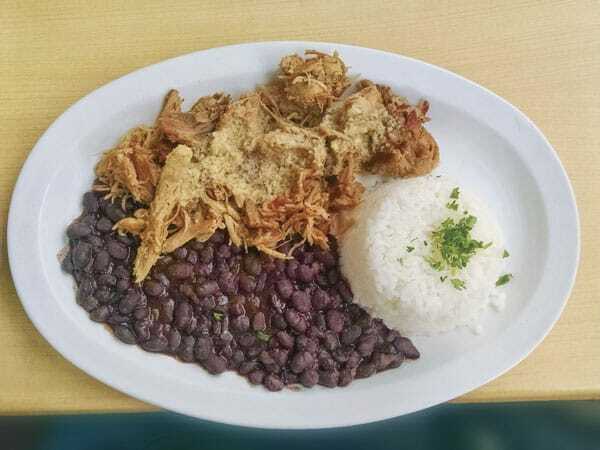 Their Cubanized menu boasts flavors and spices like garlic, cumin and oregano – typical elements featured in Cuban cuisine. One of the more popular items on the menu is the famous Cuban sandwich, known as the ‘Cubano.’ Diners can request their mojo; a tangy Cuban garlic-citrus sauce that is created in house. Purposefully, we avoided the lunch hour because it is rumored that the place gets slammed in the afternoon. Though it was a great day to take advantage of the patio, the cool, shady interior felt equally inviting. As we glanced at the menu, it was hard not to admire the painted ‘Cubana’ on the wall and the framed pictures of scenes from Cuba. Since we were in a sandwich shop, a member in my party went with the flow to order the star of the show: the Cubano sandwich – slow roasted pork, ham, swiss cheese, pickles, and mustard on pressed Cuban bread. However, in an effort to avoid gluten, I instead went with the Lechon Asado plate: slow roasted pork (sprinkled with mojo), sauteed onions and rice. It was certainly tempting, but I made a smart decision to not try the mojitos or sangria that day, though I had heard from trusted sources they are a hit. 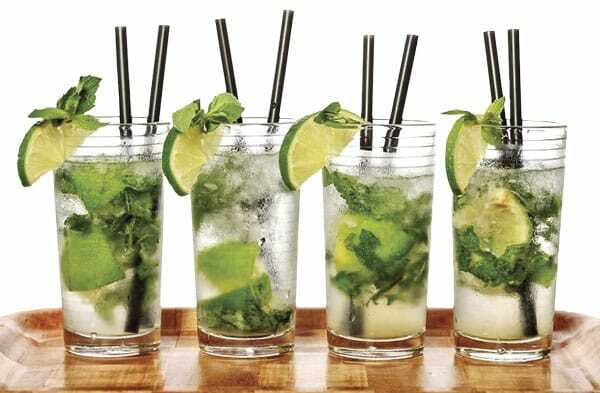 “I recommend mojitos all the time; that is our signature drink. They rocked it in our downtown location so we knew it would work in the sandwich shops,” Socarras laughed. Instead, I refreshed myself with a can of coconut juice as we sat and waited for our meals. Observing the speediness of the kitchen, we knew our food would be up in no time at all. As expected, the Lechon Asado plate came out promptly with the sandwich on clean white plates. As an added touch, the sandwich was placed on butcher paper – giving the presentation a casual but hip feel. The roasted pork plate also arrived and excited my nose with the strong scent of garlic from the ‘mojo’ as the moist flavorful pork was quickly devoured. The rice had a citrus tang and the black beans had a subtle but filling finish. 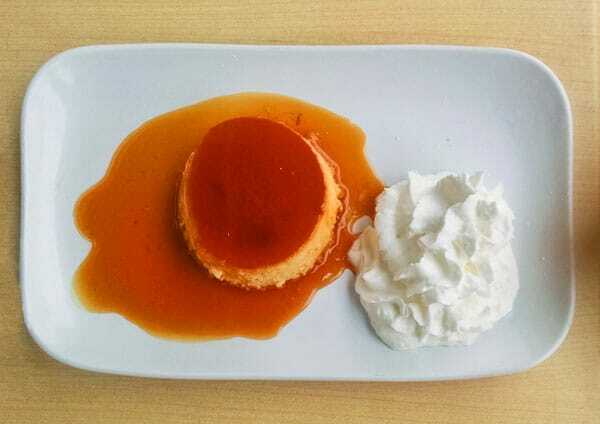 My sweet tooth forced me to return to the counter to order the homemade flan. It was a creamy, dreamy treat that I did not end up sharing as I had originally planned. The firm custard - reminiscent of crème brulee - was doused with caramel syrup and a flower of whipped crème. Utterly stuffed, we threw in the towel and took home some leftovers to enjoy later. Because of the friendly service and attentiveness of the staff, we were left with a wonderful overall experience. The food is simple, fresh and delicious, taking you out of the ordinary routine of typical sandwich shops. The Cuba Cuba Sandwicheria is both a great place to take kids or have a business lunch that will have you in and out in no time. It was also later noticed that they do offer the substitution of gluten free bread for a minimal charge for those choosing to go that route. Likewise, the location is accessible to all, having both stairs and a ramp near the entrance. 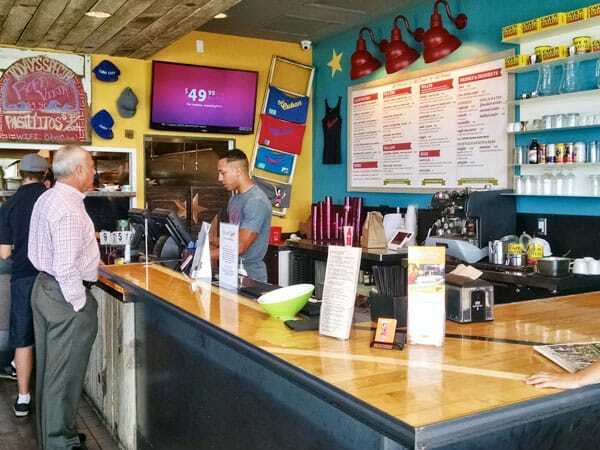 And lucky for us, Socarras and her partners plan to bring more of the hit Cuban sandwich shops to Colorado. “There’s a sandwicheria happening in Highlands Ranch soon and possibly more are in the works,” she said. I don’t hear anyone complaining about that.